When the solar panel faces sunlight it converts the sun’s energy into DC voltage. The DC voltage is utilized by the DC motor to turn the fan. 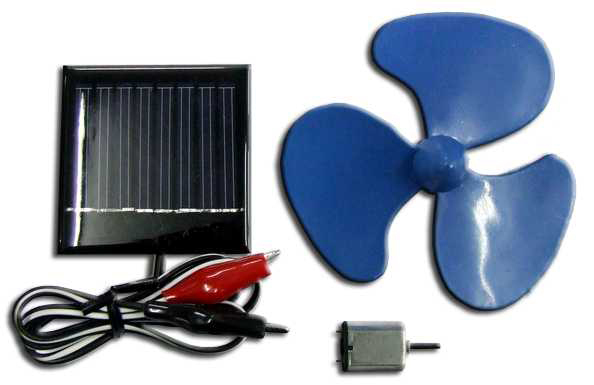 Fan speed will be determined by the intensity of the sun’s energy collected by the solar panel.